It is said that simplicity is the essence of beauty. The Singular Wall Light proves it. It is entirely handmade by a master metalsmith who starts by welding two steel tubes together to form a “T”. A junction box is then added. Bronze accents, which include the junction box cover, the bobeche, and the finials, are made by a casting process. They are then buffed to a shine. The steel parts receive a multi-layer hand-applied finish. The black fabric shade is entirely handmade. Other fabric colors are available. Superb attention to detail is clearly evident from every angle of this exquisite luminaire. 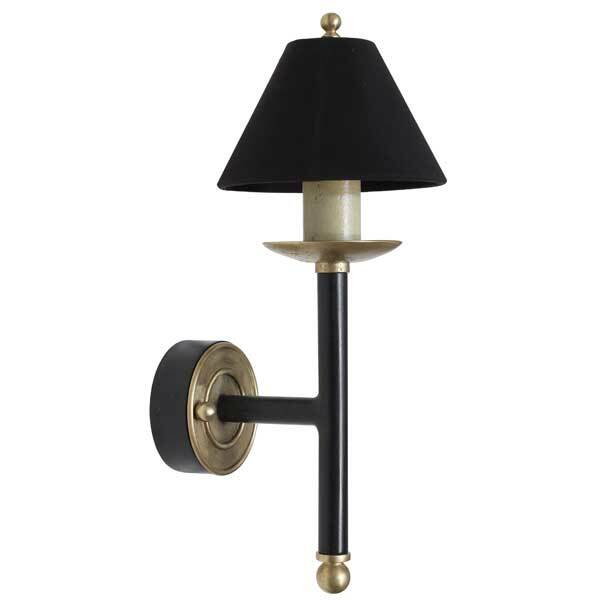 Its simulated candle is appropriately antiqued in keeping with the ageless beauty of this unique light fixture. It takes a single candelabra base lamp which can be up to 60 watts. Custom sizing is available. 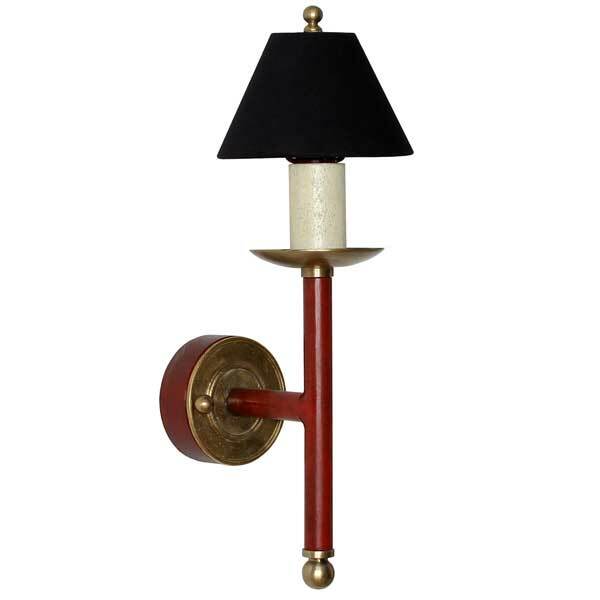 The Singular Wall Light was conceived and designed by Shah Gilani, ASFD. In addition to our standard product, we specialize in designing and manufacturing according to the client’s unique requirements. Drawings are made and finish samples prepared for client approval prior to manufacturing. We welcome international orders. Our shipping department can arrange customs clearance and convenient delivery to your door anywhere in the world.